Step 1 Wash the radishes and slice off the stem ends and tips. 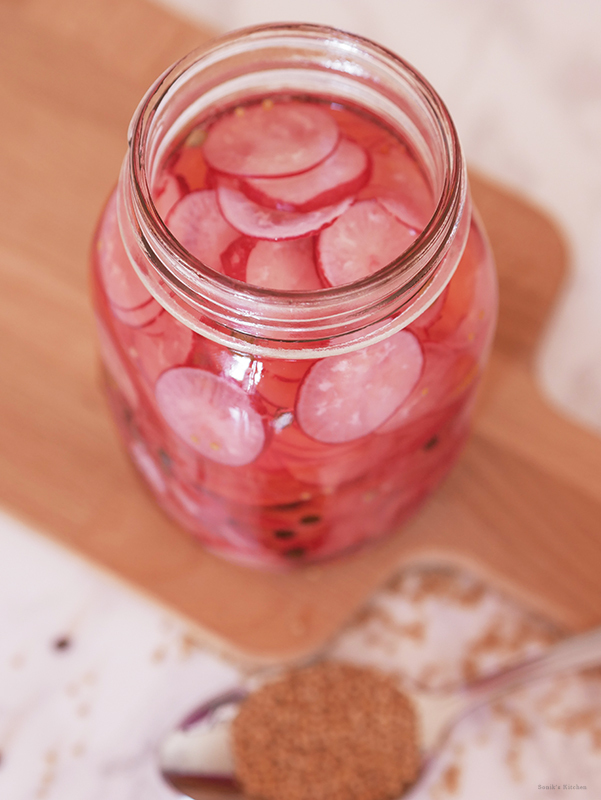 Slice the radishes into thin rounds and pack them in a glass jar. Step 2 Top with mustard seeds, coriander seeds, black pepper corns and salt. Pour in honey, half a cup of distilled vinegar and water. 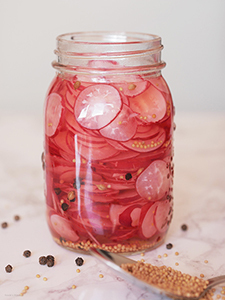 The radishes should be completely immersed in the brine. If your jar is bigger just add more vinegar. Tightly close the jar with a lid. Step 3 These radishes will be ready to eat in a days time, however it will taste even better if you keep it away for at least a week. Refrigerate them once opened.